Arguably the UK’s most successful domestically produced export to Israel has been parliamentary democracy. Arguably its most successful domestically produced export to the Arab world has been the anti-Semitic blood libel, the claim that Jews use the blood of non-Jewish children to bake their Passover matzah or for other ritual purposes. What is curious is that there are so many in Britain for whom the latter “achievement” resonates more and finds expression in new domestic iterations of this hoary, murderous British creation. The blood libel first appeared in Norwich, England in 1144. A subsequent libel in the same vein, concerning the death of a boy in Lincoln in 1255, was immortalized by Chaucer’s reference to it in “The Prioress’s Tale” in The Canterbury Tales. At least into the early twentieth century, versions of the libel could be found in collections and recordings of British ballads. The anti-Semitic libel enjoyed wide popularity across Europe throughout the Middle Ages and blood libel accusations were often accompanied by the mass murder of Jewish communities. Versions of the libel have persisted in Europe into the present century. In the Arab world, evidence of successful European introduction of the blood libel can be traced at least as far back as the Damascus blood libel in 1840. But it is particularly in recent decades that the blood libel has won almost ubiquitous currency among Arabs. Former Syrian Defense Minister Mustafa Tlass published The Matzah of Zion in 1986, promoting the blood libel as fact, and the book gained a very wide audience and has gone through many reprints . There have been a number of Arab television dramatizations of the blood libel and myriad assertions of the libel’s veracity by Arab religious and political leaders. In medieval Europe, both secular rulers, like Holy Roman Emperor Frederick II in 1236, and various popes – Innocent IV and Gregory X in the thirteenth century, Martin V and Nicholas V in the fifteenth century – issued emphatic statements condemning the blood libel and declaring that Jews did not prey on Christian children and did not use blood in their rituals. One would be hard pressed to find equivalently prominent figures in the Arab world condemning the blood libel today. 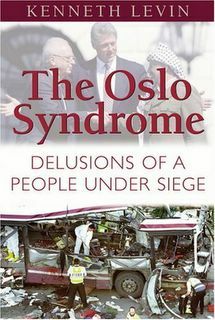 Prompted by this popularity of the blood libel in the Arab world, and by the anti-Israel slant to Middle East events that prevails in Britain, the theme of Jews preying on non-Jewish children has won new prominence in Britain, particularly within the British chattering classes: in the media and among cultural elites. To be sure, British invocation of the blood libel does not require an Israel-linked context. For example, in April, 2005, The Guardian published a political cartoon that portrayed then Conservative Party leader Michael Howard, a Jew, with a fang dripping blood as he grinned and held up a blood-filled glass. The caption read: “Are you drinking what we’re drinking? Vote Conservative.” But it is primarily the Arab-Israeli conflict and anti-Israel bias that provide the background for most contemporary British regurgitations of the blood libel. The faux, bandied justification for British libeling of Israeli Jews as child killers is the claim that Israeli forces target Palestinian children. But this sets reality on its head. In fact, Hamas openly declares its religious duty to kill not only all Israelis but all Jews, including all Jewish children. And the Palestinian Authority, under the leadership of Mahmoud Abbas, uses its media, mosques and schools to declare that all Palestinians must dedicate themselves to Israel’s destruction and to praise as role models those Palestinians who have carried out terrorist attacks against Israelis, including attacks that targeted children. In addition, all Palestinian groups have translated their words into deeds. For example, in the years immediately following Yasser Arafat’s launching of his terror war against Israel in September, 2000, more pre-teen Israeli children were killed than pre-teen Palestinian children (that is, children below the age of almost any possible role in hostilities on either side). More broadly, some eighty percent of Israeli fatalities were non-combatants, as compared to about forty-six percent of Palestinian fatalities. Nor can this difference reasonably be attributed, as it sometimes has been, to Palestinians having less precise weapons with which to target Israelis. The Palestinians’ primary weapon during those years was the suicide bomber, a very precise weapon indeed in honing in on a target. Also during this period, The Independent ran a cartoon depicting a naked Ariel Sharon, then Israel’s prime minister, devouring Palestinian children, and the UK’s Political Cartoon Society subsequently honored the drawing with its Political Cartoon of the Year Award for 2003. In the 2009 Gaza War, which involved an Israeli incursion after, as with the present war, extensive firing of rockets by Hamas and its allies into Israel, estimated Palestinian fatalities range from around 1200 to about 1400. Hamas stated during and immediately after the war that only fifty of its fighters were killed in the conflict. Israel claimed that Hamas and allied combatants killed numbered around 700, or approximately half of total Palestinian deaths. Only in November, 2010, did Hamas admit that, in fact, between 600 and 700 of its fighters were among the dead and that the Israeli figures were essentially correct. But British media almost exclusively parroted the figures put out by Hamas (or by the UN, which itself adopted the numbers fed it by Hamas). British media also, then as now, was essentially silent on Hamas’s use of civilians as human shields. The story, then as now, was of Israel targeting Palestinian civilians and, more particularly, the toll on Palestinian children of Israel’s supposedly heartless and inexcusable aggression. But Colonel Kemp’s perspective, repeated in the context of the current war, was basically ignored by the British commentariat then as now. Similarly, Hamas’s belated acknowledgment that the ratio of civilian to fighter deaths in the 2009 war was about 1:1 – this compared to, for example, Western campaigns in Afghanistan, Iraq and Kosovo, where the ratio of civilian to fighter deaths has most reliably been estimated at between 3:1 (Afghanistan) and 4:1 (Iraq and Kosovo) – had virtually no impact on the popular characterization in Britain of Israeli behavior in the war as entailing intentional killing of Palestinian civilians, particularly children. Representative of British attitudes, at least among the chattering classes, was a six-minute play by Caryl Churchill produced in 2010 to much critical acclaim and entitled “Seven Jewish Children.” The play consists of seven segments, each entailing actors discussing what should be told to “her” – a Jewish child – about events in the lands they and she subsequently fled, her presence in Israel and the conflict with the Arabs. The play offers up standard anti-Israel, anti-Semitic tropes: that the Jews stole the land, stole Arabs’ houses, steal Arab water, regard Arabs as sub-human and themselves as superior and, of course, kill Arab children and feel justified and pleased to do so. What has led people in the UK to this bizarre, bigoted comprehension of Israel? Obviously, beyond what anti-Jewish animus abroad in the society they may have absorbed, the explanation lies in large part in what has been fed to them regarding Israel by biased British media, British academia, British cultural outlets, including the examples already cited. British media likewise report very little if anything about Hamas using civilians as human shields, firing rockets from inside or near schools, mosques, hospitals, hotels, and other civilian locations, or about Hamas preventing civilians from leaving areas from which it is firing or from rocket storage sites, rocket manufacturing facilities and command and control centers. It is true that Hamas monitors the foreign media in Gaza, and journalists who report honestly about these matters would put themselves in some danger. But journalistic integrity obviously would require either factual reporting on what is happening in Gaza, including the intimidation of the foreign press, or no reporting at all. British media, instead, have submitted to Hamas guidelines without reporting their doing so; and, in fact, those guidelines are consistent with the bias British media bring to the story. The BBC, in a rare brief spasm of journalistic integrity, did, on August 8, post a report by its head of statistics noting difficulties with widely cited claims, emanating ultimately from Hamas either directly or via the UN, concerning the percentage of fatalities in Gaza that were civilians. The numbers – the UN was declaring at the time that at least 72% of the dead were civilians – had been used in many instances as supporting assertions that Israel was simply randomly killing Gazans or even intentionally targeting civilians. But this exercise in objective journalism was soon replaced by business as usual. For example, five days later the BBC web site, promoting an appeal for funds for Gaza, was declaring that “85%+” of those killed in Gaza were civilians. “What has been most striking about the British response to the Gaza conflict is the extent to which all the things that were once said about Jews are now said about Israel. Everywhere, from the spittle-flecked newspaper commentary to angry street protests, the old view of Jews as infanticidal masterminds of global affairs has been cut-and-pasted onto Israel. Surely any explaining the popularity of the child murderer trope must acknowledge that central to its appeal is that it titillates the anti-Semitic mind. Matthew Arnold wrote of Oxford as “whispering from her towers the last enchantments of the Middle Age.” Today the last grotesquerie of the Middle Age is not whispered but shouted, from Britain’s newspapers and magazines, its literary journals and professional journals, its theaters and made-for-television dramas, its NGO’s and street demonstrations, its university common rooms and lecture rooms, its union halls and town halls and corridors of national power: the Jew-baiting, blood libel shout.